How to use engines to play from a setup starting place? 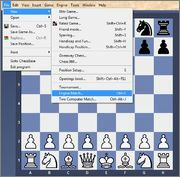 Chess2u » General Topics » How to use engines to play from a setup starting place? Re: How to use engines to play from a setup starting place? Set the position you want, then keep pressing "space" key of your keyboard. I dont know about Fritz 14 but I make this in Fritz 11. 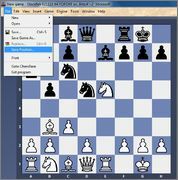 Pressing "space" key, the moves will be made by engine till the end of the game. Thanks for that. I sent copies of your instructions but he reports that when he loads the pgn file and makes sure he's at the position he wants and then goes to engines, with all the option you suggested. 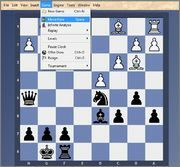 It starts a fresh game as though it is playing against two engines from scratch. That pgn must contain only the position he wants, not the whole game.